You’ll be ready to start shooting exceptional pictures as soon as you get the D3100 home because it comes bundled with an AF-S DX NIKKOR 18-55mm f/3.5-5.6G VR lens ready for action! Achieve clear images easily with legendary NIKKOR optical quality and fast, accurate autofocus for vivid color, striking contrast and crisp detail. Vibration Reduction (VR) image stabilization ensures the sharpest hand-held pictures and movies, and it’s close-up capabilities capture fantastic detail shots at a 0.9 ft. focus distance. At only approx. 1 lb. 1.8 oz. *, the compact and lightweight D3100 goes where you go. And it’s so easy to use thanks to the ergonomic grip that simplifies shooting, both in horizontal and vertical positions. New dedicated controls for frequently used functions like Live View, D-Movie and shutter release modes further enhance ease of use. Live View gives you an intuitive, familiar way to photograph playful pets or children on the move. Just flip a switch and you’re ready to go. 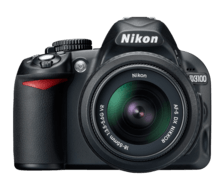 Live View makes D3100 as easy to use as a compact camera. 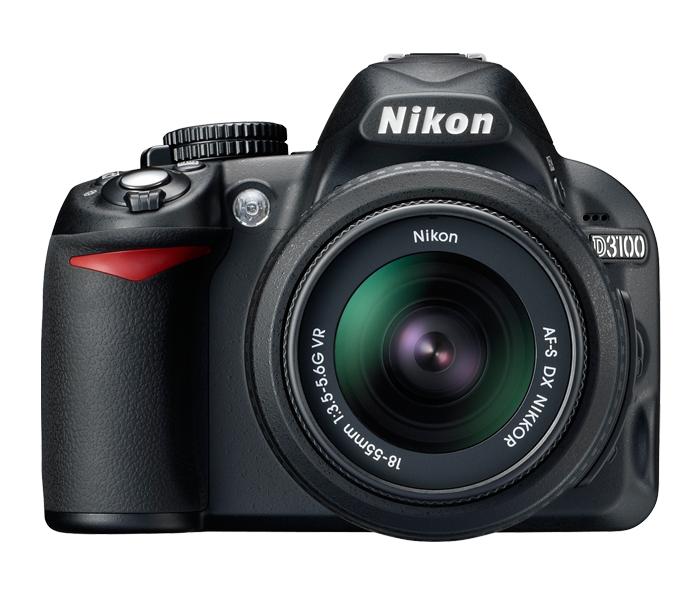 The D3100 automatically selects the Scene Mode that matches the shooting situation and subject. During Live View shooting in Auto Mode, Scene Auto Selector automatically activates Portrait, Landscape, Close-up or Night portrait modes depending on the scene.